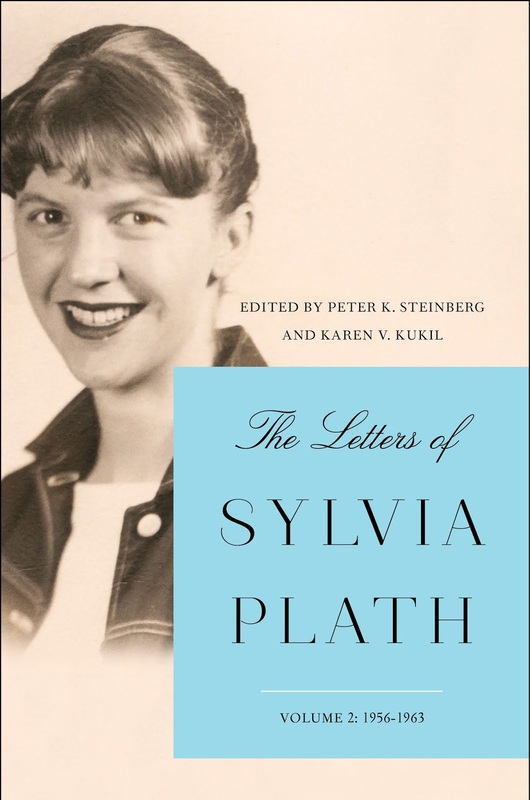 Today, The Letters of Sylvia Plath, Volume II: 1956-1963 is published by Faber and Faber in England. The book, edited by myself and Karen V. Kukil, concludes a very long journey that was years and years in the making. Before I forget---a reminder: the HarperCollins edition is scheduled for publication on Tuesday, 30 October. If you cannot wait until then, the Faber edition ships internationally via Amazon.co.uk and Book Depository, to name two sellers. Volume II picks up on 28 October 1956, the day after Plath's 24th birthday, with the following exclamation: "What a lovely birthday I had!" (3). She's living still at Whitstead at Newnham College, University of Cambridge, and shortly into the volume she is moving in with her husband Ted Hughes to 55 Eltisley Avenue. The epistolary journey covers the conclusion of Plath's Fulbright; a teaching year at Smith College in Northampton; a writing year in Boston; a cross country journey and residence at Yaddo; moving back to England, the birth of two children and a miscarriage; the publication of two books and a lot of other writings; and the breakdown of her marriage and death. 4 letters to Dido and W. S. Merwin. There are five line drawings and many previously unpublished photographs. The images include some of the supporting documentation that was invaluable as I wrote the footnotes such as one of Plath's pocket calendars, a page of her submissions list, two pages from her Letts Diary Tablet for 1962. The best part about having two different publishers in two different countries is there are twice as many reasons to celebrate. On 30 October 2018, when HarperCollins publishes their edition, featuring Plath's 1959 passport photo as the cover image, we can do this all over again! All links accessed 31 July 2018. Amazon has promised to deliver mine today - can't wait! Hurrah! Hoping it arrives soon. I'm being thrifty and patient and waiting for my US edition in October. It's difficult. I'm so excited. I read the letters alongside the Unabridged Journals and it's so satisfying. Thank you for all your hard work. Thank you, Plathery & Suzanne!